Do you sometimes wish you had a place to go where you could forget about all the stress and hassles of the world and get lost in a fantasy that sweeps you away to a far away land? You can when you have a home library. People have been leaving their troubles behind and exploring new worlds throughout the ages with books and there’s an even bigger selection to choose from today. If you think the computer and Internet has taken the place of books, you truly don’t know what you’re missing. There is nothing more rewarding than curling up with a good book so interesting that you can barely make yourself put it down. It’s an amazing feeling that you can enjoy anytime you have the time when you add a library to your home. A beautifully designed home library will enrich your life by giving you a place to go and relax after a hard day where you can escape reality for awhile. Make it your personal sanctuary where you go to stimulate your mind while relaxing your body. You’ll always have quick access to reference material anytime you need it right in the convenience of your own home. It’s an excellent tool for kids who need to write reports and do other school related projects. Everything is kept together in one place, so you’ll always know where the book you want to read is located. You can display all those books you’ve been holding onto for so long in a neat and organized fashion. It’s a great way to stay entertained even when the power is off. You can finally start collecting all those books you always wanted but didn’t have room for in your home. Adding a library to your home will increase your property value. A home library is more than just a room filled with books. It’s a great way to share your beliefs and teach your children about the things that interest you. It’s a place of fun, adventure and creativity for the whole family. When you think of a library, do you envision wall-to-wall books with an uncomfortable desk or table and chairs sitting in the middle of the room? If so, you haven’t seen any of the latest home designs. With the right interior design services, you can create an elegant home library design that’s comfortable and inviting. Envision being curled up on a comfy sofa with soft pillows facing the glowing flames of a roaring fireplace. That’s just one of the many modern design options a professional interior designer can help you create. Most designs include a modern desk and chair custom made to suit you stature and needs along with a reading chair, end tables and accessories such as a world map, an atlas map and a globe. Lighting is also very important because you need plenty of soft light that makes it easy to read but that won’t contribute to eyestrain. Your designer will install both overhead light fixtures and lamps so you can adjust the lighting to suit your mood. Adding a library to your home is a great way to enrich your life and there are many modern and beautiful designs available to choose from or you can create you own. 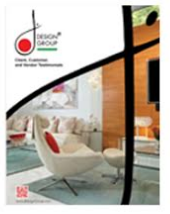 Contact us if you have questions about home design for a library or any room.